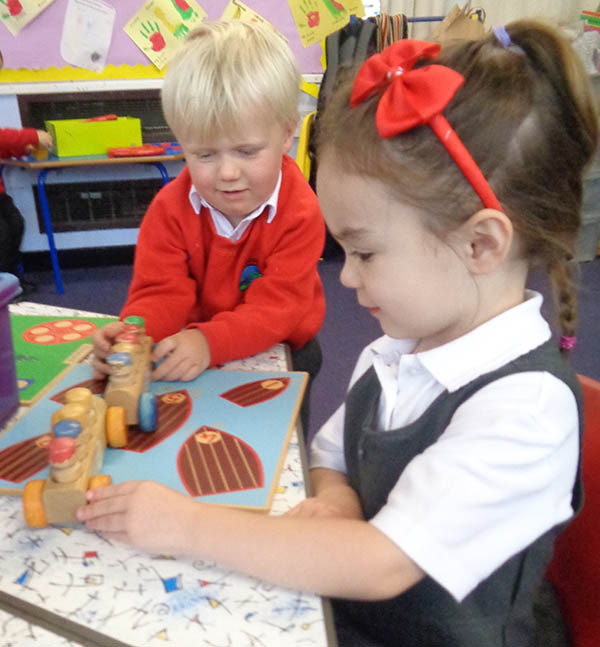 In the Nursery class we aim to encourage and nurture your child to help them develop the skills needed to build the foundation for their school life. Our class is a welcoming, happy, friendly environment where each child is encouraged to their full potential. We have our areas of learning where, within each task, children are able to discover new experiences and try out different ways of working. We all have a good understanding of our classroom, including the rules required to make it a happy place to be. We also use Welsh on a daily basis, including singing, giving instructions and our ‘helpwr heddiw’ system.